A pure wool rug wool in a selection of natural and tweedy shades. Available on 500g cones. Berber is a collection of pure wool yarns perfect for making into rugs, mats and carpets. 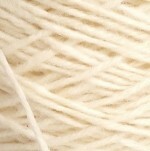 These strong yarns are thicker than our Axminster range and usually in natural, more neutral shades suitable for dyeing. The range is also mothproofed extending the lifespan of completed pieces even further. Not all the colours are the same thickness as each other so keep check the ends per inch and meterages to judge the thickness. Berber yarns aren’t just suitable for rugmaking, but it is where they are most suited. Create classic velvet pile carpets and rugs or shaggy rya rugs using either a tufting gun or a couple of ends together using a latch hook and canvas. Brilliant to weave into mats, wall-hangings, carpets, rugs and runners, floor cushions and bags. It can also be stitched into medium gauge canvas for projects such as church kneelers and cushions etc. For a twist why not crochet or knit into strong vessels, bags, containers and baskets? We have bags designed exclusively using both Berber and Axminster that show how ideal the yarn is for beautiful bags. 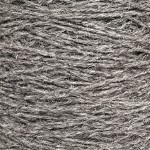 Each yarn has a slightly different characteristics including being slightly felted, a high twist, speckled etc, so check each specification for full details. 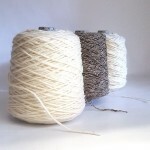 All our undyed yarns can be dyed with hot or cold water dyes using tools and equipment you would have in your kitchen. Wool and wool blends need to be dyed with hot water, acid dyes and can also be dyed with natural dyes – into solid or unique space-dyed colourways. 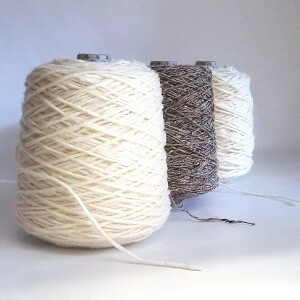 A great selection of thick, strong, versatile yarns.